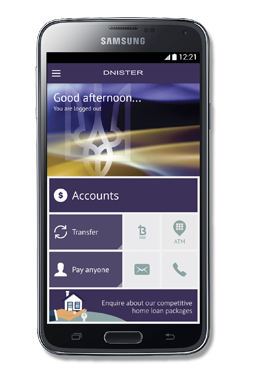 Dnister App - Dnister Ukrainian Credit Co-operative. Welcome to your new Digital Banking experience! 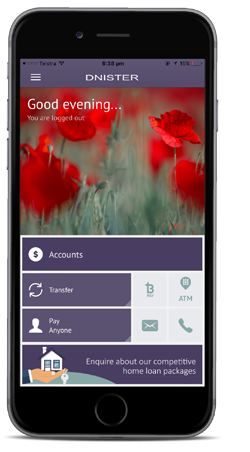 Your new banking App, on any device! Mobile banking is available to all members who are registered for Internet Banking. You can access popular online banking functions from your smartphone wherever you are, whenever you want. Whether you’re on a holiday, overseas, shopping or just out and about, our Mobile Banking offers great convenience. Refer to your local carrier for respective data and roaming charges that may apply. To ensure security – second authentication by SMS via internet banking will be required to load any new payees or billers. We recommend that members also utilise their phone’s lockout PIN if using the mobile banking solution and to not use the same PIN for mobile banking. As always, never write down your PIN or Passwords! Changing your PIN has never been easier! Enjoy the convenience of changing you PIN on any active Cuecard or Visa Debit card on your smartphone device. Simply select an active card from the list and enter your new PIN. Next time you return you will only require the PIN or Touch ID to access your accounts. It’s that easy! Members who are not registered for online banking need to register for this service. Once you have registered, you will be able to downloaded the App. To register, download and submit an application form. The Mobile Banking service provides members with quick and easy access to your accounts on the go. You can view, pay and transfer to any previous payee or biller. For added security – second authentication by SMS via internet banking will be required to load any new payees or billers. We recommend that members also utilise their phone’s lockout pin if using the mobile banking solution and to not use the same PIN for mobile banking. As always, never write down your PIN or Passwords! I have forgotten my App PIN? That’s ok! When you go to the side menu in the App, there is an option ‘Forgot App PIN’. 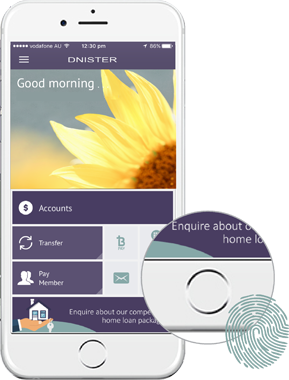 To reset your PIN you will need to Re-Register your Device by entering your Dnister Member Number and Password, Device Name and new App PIN. I need more help, who do I contact? Would you like to know more? Need help? Feel free to visit your local branch and have a chat to our Member Service Officers or contact us for any queries or assistance. Simply tap the ATM icon in your dashboard to view nearby ATMs – tapping on the ATM location will show additional information such as the ATM or branch hours. Location services on your device must be enabled in order to use this functionality. Our mobile app allows you to enable Touch ID on a compatible device. Once you set it up, which you can do during the registration process, you're able to quickly view accounts from your smartphone without entering your app PIN. 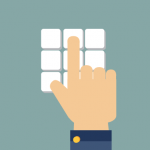 Log in quickly without entering a login ID or password. Immediately arrive in the digital banking dashboard, where you can view balances and recent transactions. 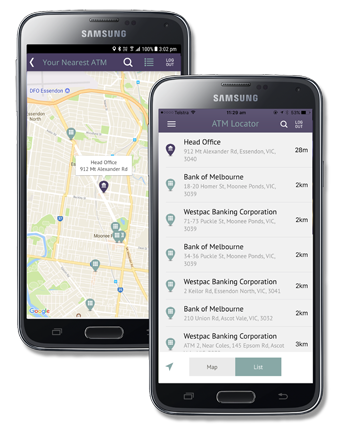 Navigate through the app with ease and do your banking with a simple tap.